Create web analytics reports with your own label. The White Label technology is widely used by intermediary companies for work with their clients. 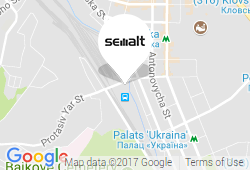 If you use the Semalt web analytics service and want to present the obtained data under your label, create your own report template. Open the tab White Label Template in the section Report Center and click the button Add new template. Select the default report template. In the tab White Label Template you will see the list with created templates. Select the required one using the checkbox. What template is used as default in the reports? The Semalt template is used as default. 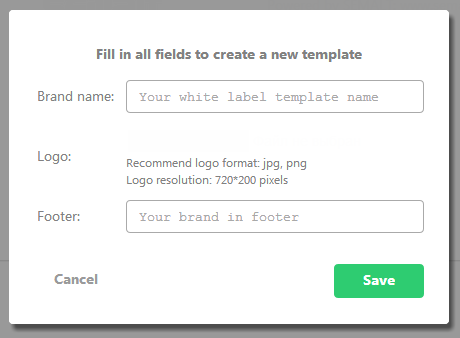 You can choose any other default template in the section White Label Template. Can you apply a new White Label template in the reports created earlier? You can edit templates in the section Report List Schedule. Select the required template from the White Label list and save the settings. How to select a White Label template for all the projects? Check the template checkbox in the field DEFAULT in the section White Label Template. Now this template will be applied to all Semalt reports where you selected Default in the White Label settings.